When medical professionals refer to blood pressure, they are describing the force applied by the stream of blood within the body on the walls of the blood vessels. A cuff and measuring gauge are generally used to determine an individual’s blood pressure. Measurements are taken in millimetres of mercury (mmHg). Two separate measurements are always taken. Systolic blood pressure is the force exerted on the walls of the blood vessels while the heart is contracting. Diastolic blood pressure is the force exerted on the blood vessels while the heart is at rest. Every individual’s blood pressure tends to vary greatly and can actually change from one heart beat to the next. In order to determine a person’s average blood pressure it is necessary to take more than one measurement at various times of day over a period of time. If a person maintains normal blood pressure he or she is less likely to develop cardiovascular problems or other health complications. Blood pressure that is abnormally high or low can lead to potentially fatal problems. Therefore it is very important to make sure that your health care provider checks your blood pressure regularly. Healthy blood pressure has a systolic measurement of between 90 and 119. It has a diastolic measurement of 60-79. People with low average measurements are less prone to the health complications associated with hypertension and hypotension. Children have lower blood pressure than adults. 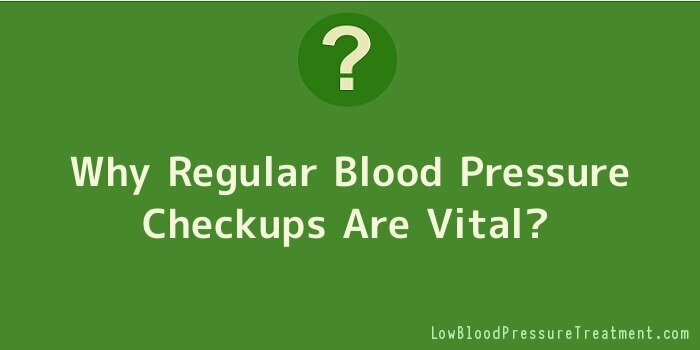 Generally the older you are the higher your blood pressure is likely to be. If more than one test indicates that you have a blood pressure reading of between 120/80 and 139/89 you have what is called pre-hypertension. This means that you are at risk of developing hypertension. If you have pre-hypertension you should make certain lifestyle amendments in the interest of maintaining your health. For instance, you should get down to a healthy weight, exercise more and avoid nicotine, alcohol, caffeine, sugar, saturated fats and sodium wherever possible. Stage 1: Hypertension is a measurement between 140/90 and 159/99. There are various prescription medications that can be taken to correct the problem of stage one hypertension and the same lifestyle amendments that are used to treat pre-hypertension are necessary. People with hypertension are at increased risk of heart attack, stroke, heart failure, aneurysm, and kidney failure and eye problems. Stage 2: Hypertension is a measurement of 160/100 or more. People who have elevated hypertension are at particularly high risk of the aforementioned health problems. They require rapid and aggressive medical treatment if they are to avoid having a massive heart attack or stroke. Hypotension is the term used to describe low blood pressure. A low measurement varies from one individual to the next. In other words, a person with a diastolic pressure of 60 may experience no adverse symptoms while the next individual may start to react badly if theirs reaches as low as 70. A severe case of hypotension is dangerous because it means that the oxygen and vital nutrients in the bloodstream are not reaching vital organs. This can cause organ damage or failure. In the most extreme cases it can cause coma or death. Hypotension has numerous potential causes including pregnancy, certain medications, blood loss, inadequate nutrition, dehydration and septicaemia. You can reduce your risk of developing hypotension by eating a healthy diet with sufficient calories, vitamins and minerals and drinking plenty of water.